If there’s a progressive musician in a literal sense of this expression, it’s Steve Hillage. For all his pioneering work with the likes of KHAN and GONG, let alone the guitarist’s solo career, Hillage has never cared about sticking to whatever template he created and managed to stay on the cutting edge of artistic aspiration. While occasionally performing with fellow travelers such as Nik Turner, Steve’s other activities keep the veteran occupied on other fronts. His and wife Miquette Giraudy’s electronic/dance project SYSTEM 7 and its chill-out sibling MIRROR SYSTEM are going strong, and June 1st will see their new record. 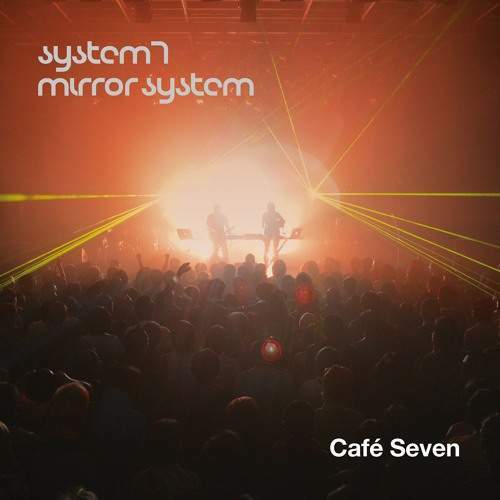 “Café Seven” is a grooves-filled offering where fresh tracks mingle with remixes of pieces by the bands’ friends – running from 135 bpm to no beats at all to encompass the entire gamut of emotions.